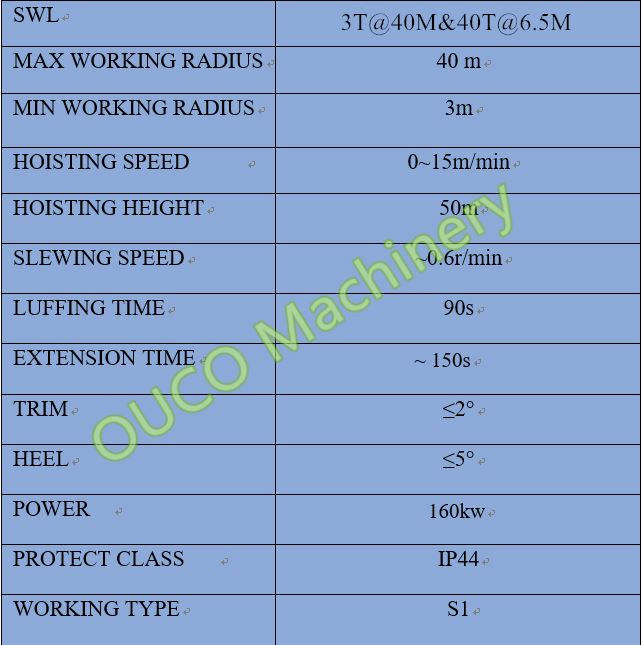 OUCO Marine/Offshore 3T40M Telescopic boom crane is mainly used on the deck of bulk carrier or overload barge for handling a variety of cargo bulks. 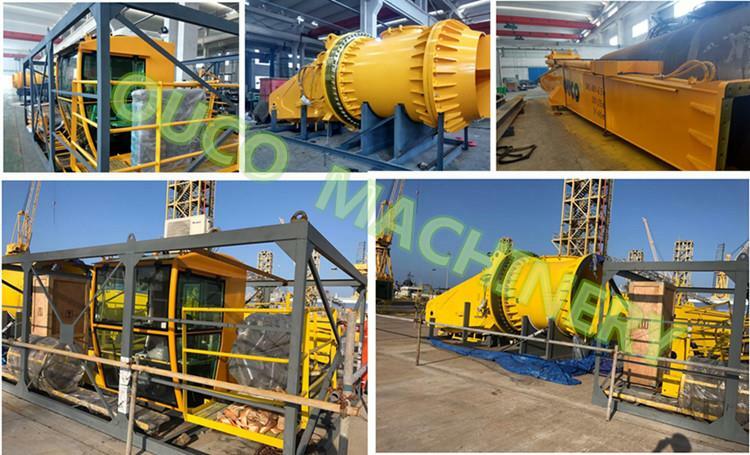 It has several hoisting points to fit the demand of vessel usage, which are 3T40M, 40T6.5M, 10T25M, makes the crane with long outreach to complete the lifting job. 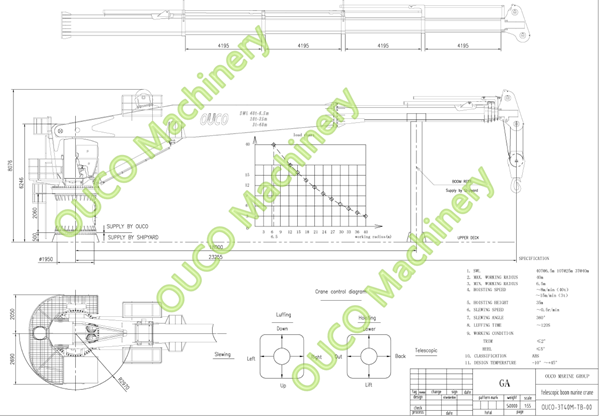 The cranes are available from 3–40 meters of crane boom, which have long range of usage. 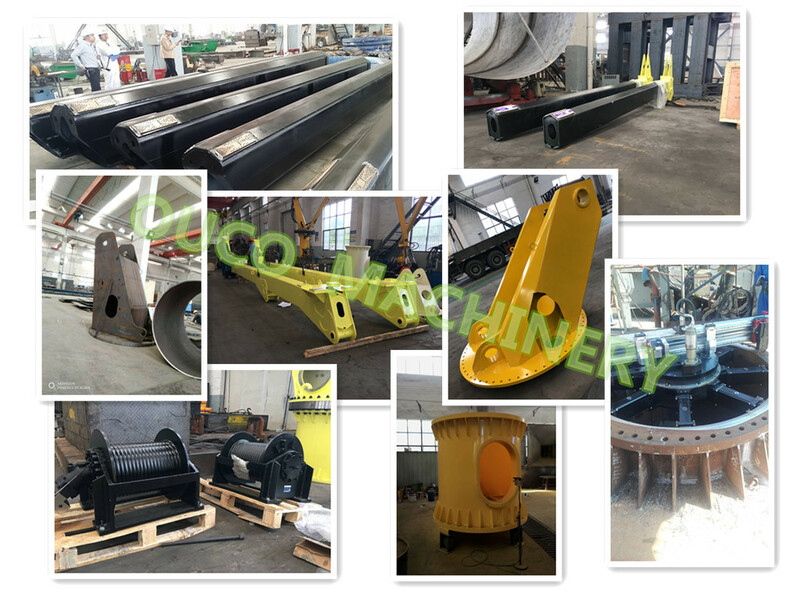 This 3t40m telescopic crane currently have been made several sets with ABS Class certificate, will be delivered within 3 months with stable and reliable quality based on clients’ usage and testings. The availability of a telescopic or fixed jib extension on a telescopic boom is not only easy to attach and use, but it makes it possible to extend the reach of the crane boom by as much as 40 meter. With a jib, boom cranes are capable of reaching boom lengths as tall as 35 meter, which is very beneficial when placing loads at height or lifting personnel using a work platform. 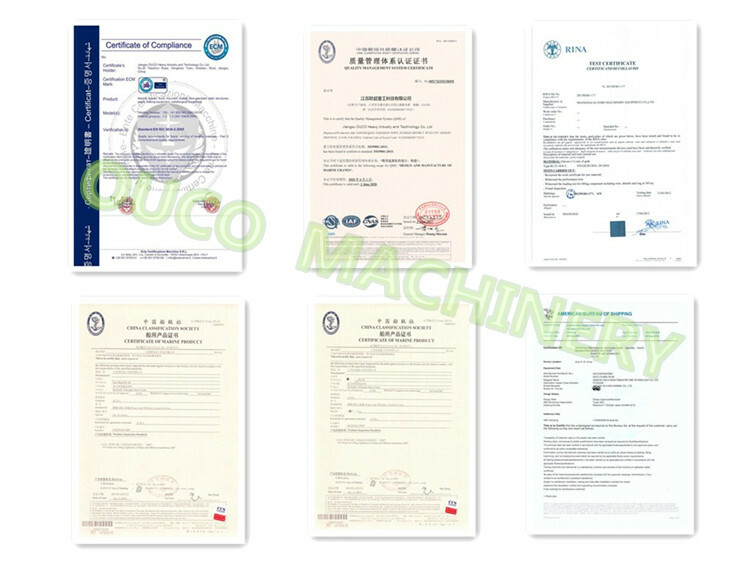 Our factory has all kinds of cerltificates for you to choose from. pleasure to allow you to use our crane as soon as possible.